Strategic investors are helping to finance the retrofitting of the factory. Solarvalue plans to announce the strategic partners shortly, when all the details for publication have been agreed with the companies. Information about the strategic partners should emerge in January 2007. 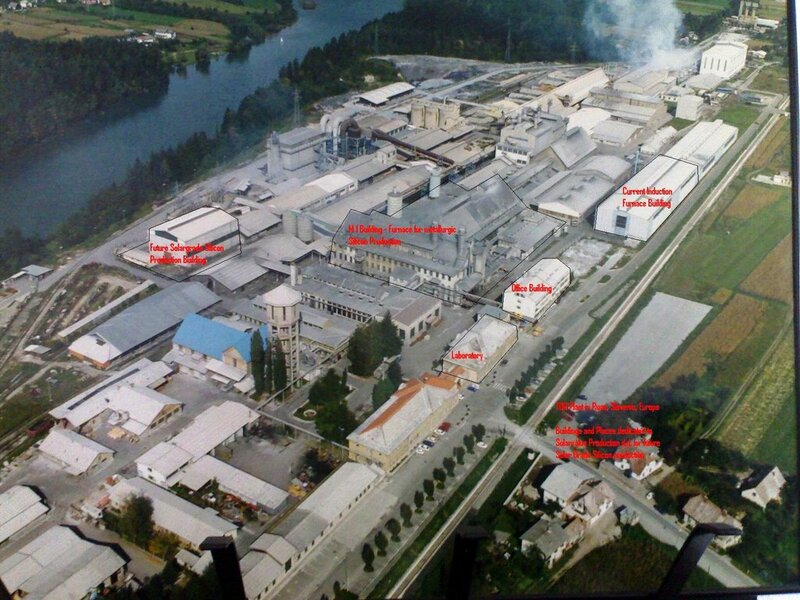 After passing through the Ferrosilicon production area, the M6 and M5 arc furnaces were next. 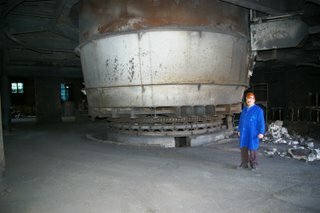 Both of these arc furnaces are housed in a newer building, circa the early 1980’s, built before the Iron Curtain fell. Mr. Mott was impressed with the solid, spare no expense construction of this building. Belgrade is alleged to have financed this expansion with Yugoslavian Defense spending. The M6 arc furnace is somewhat smaller than M1 in circumference. As can be seen in the tapping floor photo, the M6 furnace is stationary and was manufactured by Elkem AS despite the dropped “L” from the name plate (Note to Elkem: Consider supplying a new name plate gratis to TDR for branding and quality perception purposes). Elkem is part of Orkla ASA (OSL:ORK), a 1960’s style conglomerate of Branded Consumer Goods, Specialty materials, and Financial Investments businesses. During of the visit, M6 was in operation producing Ferrosilicon, an alloy of iron and silicon with between 15 and 90% silicon. Per the control room panel, M6 was operating at 14MW (Megawatt). 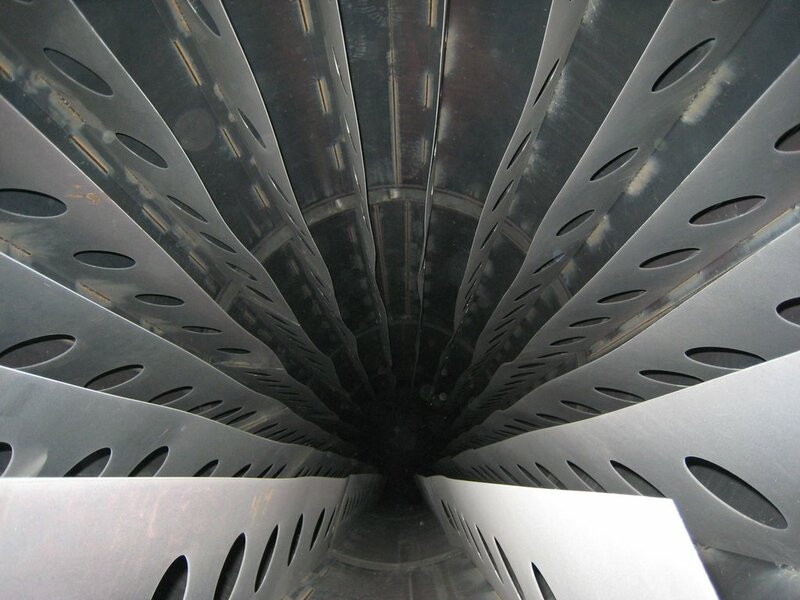 Alternate tap holes are utilized on the M6 arc furnace to improve thermal uniformity and prevent heat build up at a single tap hole. 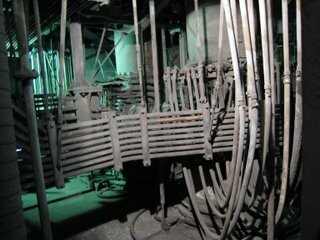 Here is a look down one of the M6 electrodes at the top floor of the building. Although I was being careful, I’m glad John Mott reminded me not to touch the electrode when I was taking this photo. 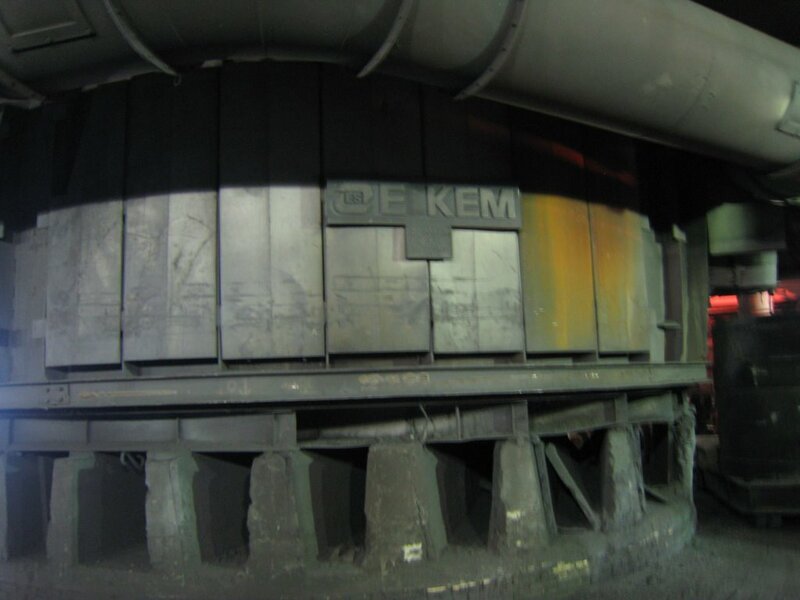 The electrodes are consumed during arc furnace operation and new sections are attached at the top floor to replenish the electrode material. The 12 MW M5 submerged electric arc furnace will be the first setup for metallurgical silicon production by Solarvalue. M5 has been out of operation since about early 2006. TDR personnel were already working to bring M5 back into service at the time of the visit. 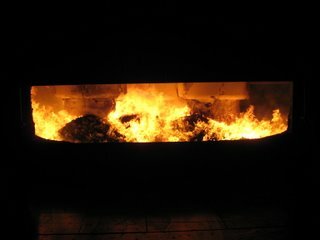 The tapping floor photo of the M5 arc furnace reveals a critical feature required for silicon metal production: the ability to rotate. 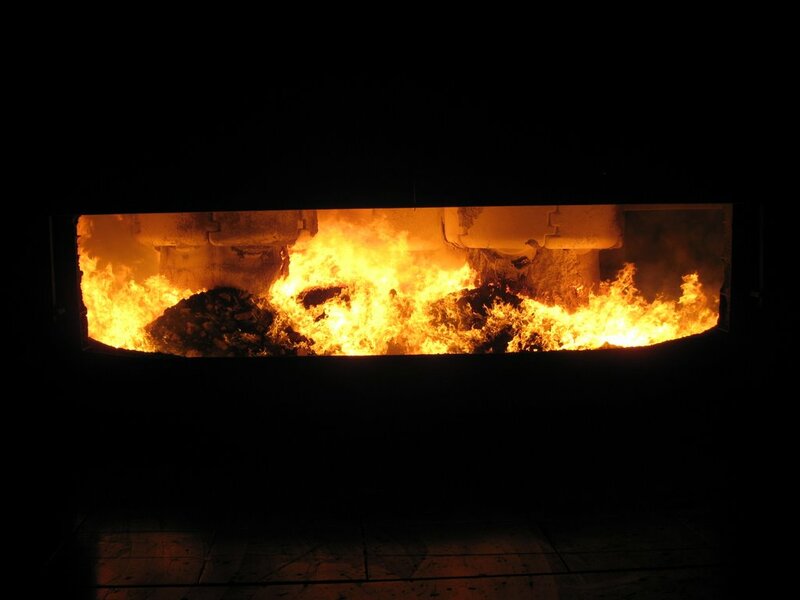 Even though M5 completes a full rotation perhaps every few days, this movement brings uniformity to the molten silicon metal saving electricity and slowing the buildup of a greenish black tinted mixture of Silicon carbide (SiC), Quartz, and Silicon at the bottom of the arc furnace. Routine maintenance is required to remove this nasty mix, and high velocity BX explosive may be needed to make cracks and fissures in the hardened material to allow jack hammers to complete the cleanup task. Here is a view inside the M5 furnace while it was being reconditioned for restart. 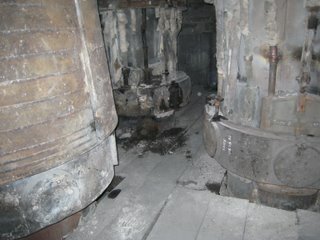 Wood panels have been placed across the top level of the hearth to facilitate carbon electrode maintenance activities. 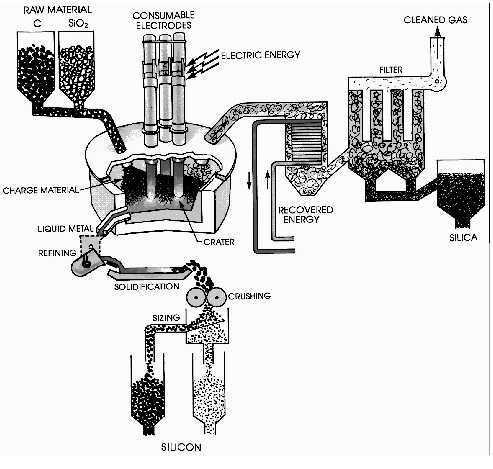 Solarvalue Process I will produce metallurgical silicon (mg-Si) by the Carbothermic Reduction process using high purity quartz ranging from 10-20mm up to 100-150mm in size and high purity carbon sources including coke, low ash coal, hardwood chips, or charcoal. High alternating electric current, on the order of 50 to 60 kA (kilo Amps) in the secondary conductors, flows into the three carbon electrodes to generate an arc, and the arc current and radiant energy heats the quartz and carbon charge mix above 2200 degrees C to enable the reduction reaction. The arc is regulated and constant current is maintained during the process by raising or lowering the electrodes with an automatic positioning system to control resistance. Copper bus bars and water-cooled cables carry current to the electrodes from three separate transformers. Intermediate reactions generate gaseous silicon monoxide (SiO) and solid silicon carbide before molten silicon can be tapped and forming by-products SiO and CO. 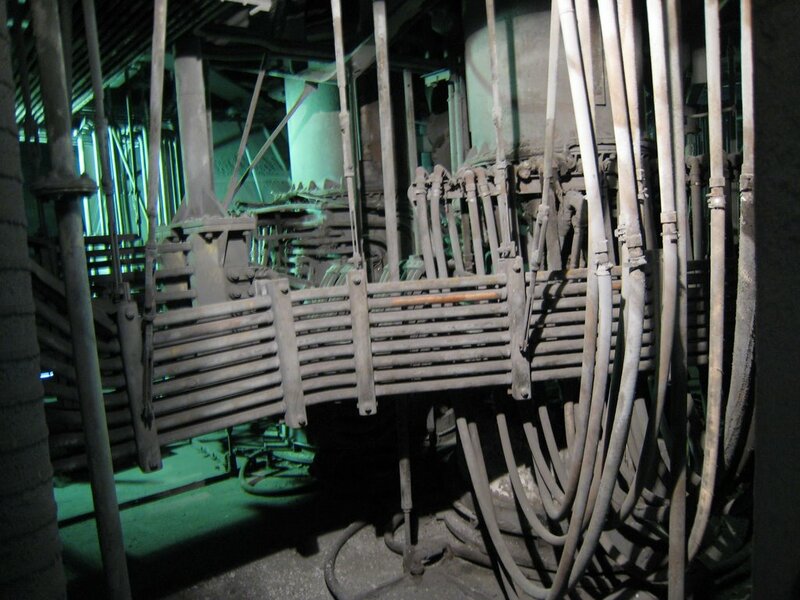 The SiO oxidizes with the atmosphere to reform as a dust like SiO2 referred to as silica fume which is captured and sold for industrial applications. As the tour moved on from M5 and we walked between the TDR stone buildings to the future Solar Grade Silicon Production building, John remarked the TDR facility and Slovenia reminded him of a James Bond movie. “Goldfinger,” I said. John agreed. My unconscious reaction was to look over my shoulder for an Aston Martin DB5. In Part 3, the TDR tour will conclude and Process II and Process III of the Solarvalue Method for Solar Grade Silicon production will be reviewed. I’ll do even take no notice about Solarvalue.com, as the process of producing of solar grade silicon needs tecnology which is lacking in metalurgical facilities in Slovenia.